DMRC Answer Key 2019: Office Assistant, Junior Engineer & Other Post Answer Key 2019 is available now for DMRC Office Assistant, Junior Engineer & Other Post Exam 2019. The exam was organized by Delhi Metro Rail Corporation Ltd, . 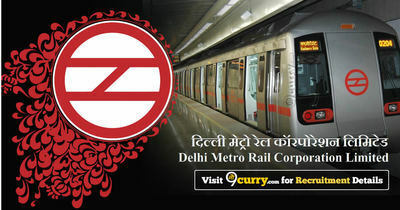 DMRC Office Assistant, Junior Engineer & Other Post Answer Key 2019: Delhi Metro Rail Corporation Ltd, has issued the Answer Key on 30 Jan 2019 for DMRC Office Assistant, Junior Engineer & Other Post Exam 2019. Answer Key can be accessed from the link given below. DMRC Special Post Answer Key 2018: Delhi Metro Rail Corporation Ltd, has issued the Answer Key on 02 May 2018 for Special Post Exam 2018. Answer Key can be accessed from the link given below. DMRC Various Post Answer Key 2018: Delhi Metro Rail Corporation Ltd, has issued the Answer Key on 02 May 2018 for Maintainer-Electronic Mechanic, Jr Engineer & Other Posts Exam 2018. Answer Key can be accessed from the link given below.